Brent M. Haddad is Associate Dean of Engineering for Technology Management and Professor of Environmental Studies at UC Santa Cruz. He has published extensively on water policy and management, water and climate change, and urban water strategies. A multiple-award-winning teacher, he has also served on numerous editorial boards and research guidance comittees, including those of the WateReuse Foundation and the University of California Water Research Center. He recently (2009-11) served on the Committee on the Assessment of Water Reuse as an Approach to Meeting Future Water Supply Needs of the National Research Council. He has lectured on water management and policy throughout the United States and in many foreign countries. 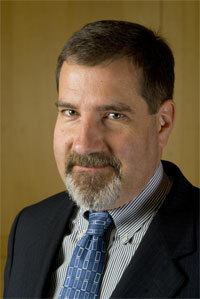 He has apeared on regional, national, and international radio programs advocating integrated long-range planning of water infrastructure and supply, and served as Principal Investigator on numerous projects.